White church – and the wider church in general – this is the time for all of us to engage. Help present the truth wherever you can, whether it’s on facebook or over lunch at work. Fight for life, by holding up friends right now and grieving with those too tired to carry on, and preparing for advocacy and work that is necessary and is always before us in the future. Seek to understand, lament, and see the systems and principalities at work in our world, in our churches, maybe in our minds – ask Christ for the eyes to see. Thank you to all those already in the game – advocating, grieving, listening, standing with, and paying attention. If you’re not sure what to do – start paying attention, right now. Read articles from the Black Community, notice the particular beauty and pain within the Black Church, start to feel this pain and shock and repeated abuse as if it were in your own family, because, well, it is. Pray, pray more, confess, lament, and learn more, and pray some more. Bring this up with your people. Ask about this reality of race and death at your church – where will it be addressed within worship this Sunday? Where will we take our part of the responsibility of educating, advocating, understanding, speaking out, and helping change how race and faith and life and death are seen in the US? Publicly share information and lament and hope with others. Publicly stand for and with and fight this sense of black life not being as valuable, as noticed, as mourned. The more we join the outrage and point to the truth that ‪#‎faithandracealwaysmatter‬ and ‪#‎BlackLivesMatter‬, the more we help open up spaces of lament, healing, Good News, justice, reconciliation, hope and the potential for life to flourish. This is not a time to leave the black community alone, to let them mourn or be angry or fix it alone. White Christians, we inherited this mess and this story of power and privilege and racism that shapes our individual lives, our corporate realities, and even our congregations. The wider church and the world will be shaped by how we choose to engage or turn away from this kind of death. Particularly those of us with any voice, leadership, influence, and the privilege to choose whether or not to engage issues of death and race – it is time to get in the game. Because of course, this is no game – these issues of racism and how we choose to see truthfully or speak up – these are literally matters of life and death for the Black Community. So it is past time to choose life, to advocate for our people – all people – in the Body of Christ. It is on our shoulders to be part of fighting the evil we are witnessing over and over in our nation that is taking and diminishing Black life – actively, with faith and hope and love, and with each other. Rev. Liz Mosbo VerHage , Ph.D., is an ordained pastor, professor, preacher, teacher, author, practicing theologian, wife and mom. She is the Pastor of Global and Local Ministries at Quest Church in Seattle, equipping the church to engage in presence, justice, advocacy, and compassion, and is an adjunct teacher for the Urban Ministry M.Div. and D.Min. program at North Park Theological Seminary in Chicago. Previous Quest Church has purchased the building formerly known as Mars Hill Church. Full transparency: Here’s why and how. Next Garrett Swasey: Christ Follower, Son, Husband, Father, Pastor, and Police Officer. We see you. We honor you. I’M SPANISH AND FEEL THE PAIN OF THIS COMMUNITY IS GOING THROUGH , BECAUSE OUR COMMUNITY IS SOFFER ALSO, INJUSTICE, PERSECUCIÓN AND THE LIST CAN BE BIG, IS TIME TO CHANGE THE MENTALITY OF THIS PEOPLE THE THINKS THERE ARE SUPERIOR, THEIR ARE THINKING THAT KILLING, AND HURTS OTHER WILL PLANT FEAR, EVERY BODY WILL RESPECT FOR WHAT THEY DID. RESPECT IS MORE IMPORTANT IS YOU RESPECT HOW I’M IF YOU MIX WITH LOVE IS IMPORTANT, YOU WILL SEE CHANGE, WEN YOU USES RIGHT. BRING THE WORD OF GOD AGAIN TO SCHOOL AND TO ANY GOVERNMENT BUILDING, US A NATION YOU START THE SEPARATION FROM GOD, NOW OTHER ARE PAYING THAT CONSECUENS. IS TIME TO START ALL OVER AGAIN, PEOPLE DON’T HAVE NO FEAR FROM NOTHING. 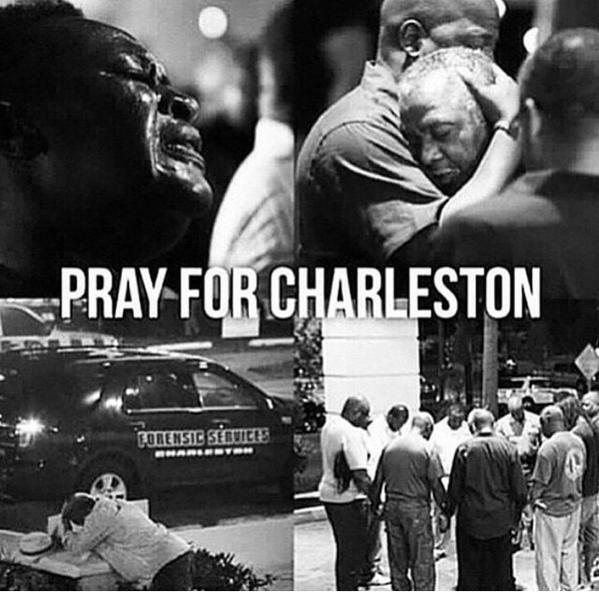 CHARLESTON I FEEL YOU PAIN MY BROTHERS AND SISTER ON CHIRST, I FORGIVE THE YOUNG BOY THAT USES THIS FEAR IN THE WRONG WAY. JUST TO HONOR THE NAME OF THIS COUNTRY UNITED STATE OF AMERICA, NACIÓN UNDER GOD, MAKE THIS MORE OF JUST WORDS, MAKE THIS AND A ACTION FOR OTHER. AS A SPANISH AND CHRISTIAN I WILL KEEP PRAYING FOR MY COMMUNITY, BLACK AND WHITE, MAYBE ONE DAY WILL SEE JUST ONE BODY AND ONE NATION, SEPARATION JUST MAKING THIS NATION WEAK AND WITH OUT GOD VULNERABLE. JUST THINK ABOUT IT. Thank you. It is great to see white voices speaking up on something that for so long seems to be left to people of colour. Only a Racist would say people are white and black. If wrong is wrong….what color does it make? No. It’s not racist to point out racial difference. As a matter of fact, God created us all differently. So we are all perfectly made in his image and pointing out race in the right way points to the creative heart of God. Nothing wrong with that. You are so correct, in my opinion. There are those who want to make everything racial. These are the racist who are causing trouble in this country. I agree with Tramaine A Stallworth. Color-blindness hides and ignores the fact that we’re different- in culture, circumstances, backgrounds. We are ALL children of God and reflect Him in ways like a multifaceted diamond. Our differences are made beautiful by His grace and understanding/extending that grace and love to each other. Hellooo…Because a white man committed a hate crime against black people, by his own admission. How do you think it’s not about race? Well said. As abhorrent as this is, the authors attempt at white guilt is utterly misplaced. It is so easy to turn and act like it is not an issue, being from a multi cultural family with all different color skin, we see it. The looks, the comments. The truth is no matter the color racism is real. This includes us Caucasians as well. Our fight is against not of flesh and blood., but principalities and powers.So pray for our brothers and sisters, that’s how one can be help. Why can’t we talk about Christians ? Why do we have to talk about black, white, brown or yellow persons. This sounds like someone trying to bring trouble. Many, many people have gone hungry, been poor, abused, lived without the finer things of life with little education. It makes no difference the color. I speak from experience . Please do not be racial, but speak about human beings, not color. Everyone has an opinion, and I wanted you to know my opinion. …and I would like for you to know mine. We ARE talking about Christians. In this particular instance, however, we are talking about Black Christians. A group of people targeted NOT because they were Christian, but SPECIFICALLY because they are…were Black. Why is it SO terribly difficult to understand that there is an entire race of people who are being targeted in this country simply because of the color of their skin? How can you not recognize that as an ISSUE? Why in the name of everything honest and holy do people believe that ignoring race (when it is SO obviously an issue) is the right approach? And one more question…why is it that when an individual WHITE person guns down innocent Black people, it is a singular issue, to be viewed as a one-off occurrence (no matter how many times it happens), but when a Black person does something, ANYTHING, it is a reflection on our entire race? These are just questions, but they are not rhetorical. From one Christian to another, I am sincerely interested in your thoughts on these matters. I would really like to know the answers. Feel free to represent the entire race of White people, since we are so often called on to do that for Black people. I am so appreciative of this stand by Rev. Verhage. I have been watching and listening to various Ministers/Pastors of European/Caucasian/White decent wondering and praying when they stand speak the heart of God concerning the atrocities and injustices that the Afrodecendants have been consistently experiencing at the hands of the governing body and others of this society and culture. How many black lives were lost in Baltimore on the Memorial Day week end? How many black lives are lost day after day in Chicago? How many black lives are lost every day in abortion clinics. I think you are focusing solely on a very minor problem to the exclusion of others. Great Sentiment but lets do something and start a movement. Put your vanity and your comfort zone on the altar and head down to an AME church. How many do you think it would take to make Him Smile, How many to make him gush with Joy and cry…How many to make Abba Daddy do a back flip…how ironic would it be if a crazed white supremist was a catalyst to unifying the body and what greater honor can we give to our fallen brothers and sisters and their families. Stop stalking Jesus and start incarnating His love in a Radical way. I love this letter, Pastor Liz. May God use your words to draw many closer to him. Many of the comments fill my heart with fear and make my stomach lurch. Stubborn pride is a persistent sin among white Christians. If we (and yes, I use the collective we to refer to and own my whiteness) cannot repent of this, we’re doomed to be stuck wringing our hands and wondering why the church is so racially segregated. Pastor Liz thank you for speaking from the heart during this tragic time. Its fellow believers like you that help us all to “speak up” against what is happening. I pray that the Lord will continue to use you to shake our social consciousness to be quicken to live into His reconciliation and love. Blessings on you. Eugene, We would love to see your great articles on http://www.CollectiveFaith.com. Please join and share with our Christian Social Network.